Hollywood might be out of fresh ideas, but they seem to be doing a damn good job of repackaging old films for a new audience. Evil Dead, Halloween, Star Wars: The Force Awakens, and Blade Runner 2049 were successful in making old franchises new again. Now it looks like Shaft is gonna do the same. 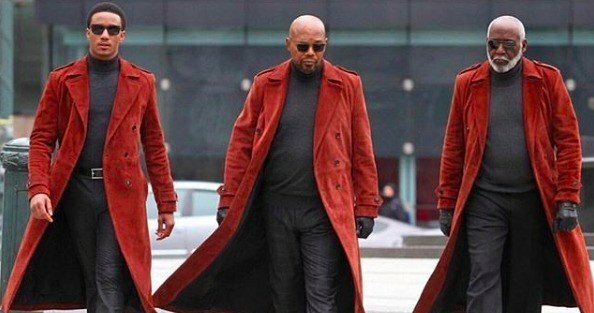 Wisely bringing back Samuel L. Jackson from the 2000 reboot, and Richard Roundtree's original Shaft, the new film introduces audiences to Shaft Jr., as played by Jessie T. Usher. The rest is bullets, fists to the face, and some pretty good banter between the three leads. Hate to admit it, this Shaft looks like it's gonna be one bad mother... shut yo mouth! It hits theatres June 14.